Morocco’s bid to host the 2026 FIFA World Cup went under the microscope on Monday as a task force from the global football body arrived for an inspection visit. The visit by FIFA’s five-man task force was to assess the country’s ability to host the tournament. Morocco is the only rival to a joint bid to stage the event from the U.S., Canada and Mexico. The FIFA Congress is due to choose the hosts in Moscow on June 13. Morocco’s bid committee said in a statement on Monday that the task force would visit several cities between Tuesday and Thursday as well as stadiums, training camps and fan fest sites. It will also visit other venues related to the organisation of the competition. The task force will use a point-scoring system to evaluate the two candidates. Any bid which does not meet a minimum score on a number of different points will be disqualified before the final vote in Russia. “Morocco is offering… an innovative and compact concept to ensure operational efficiency, outstanding profitability and a lasting legacy in Morocco and Africa,” said Moulay Hafid Elalamy, president of the bid committee, in the statement. Morocco’s bid plays heavily on the country’s passion for football and its fan culture, on its relatively compact size, its proximity to Europe and climate. The North African country has already made four unsuccessful bids to host the tournaments for 1994, 1998, 2006 and 2010, although it was close on three occasions. The country was second to the U.S. for 1994, behind France for 1998 and just lost out to South Africa for the 2010 finals. 2010 was the only time the event has been held in Africa. Some of FIFA’s national associations have already publicly stated who they would vote for and Morocco received South Africa’s backing on Monday. South Africa Football Association (SAFA) president Danny Jordaan said that Morocco’s bid was Africa’s bid. “It is an old myth that Africa doesn’t have the capacity and naysayers should stop using the political argument,” he said. FIFA has 211 member-associations who all hold one vote each at Congress. 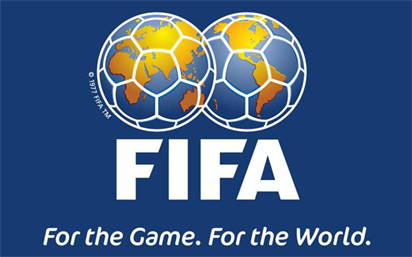 The post FIFA task force in Rabat to inspect 2026 candidate Morocco appeared first on Vanguard News.